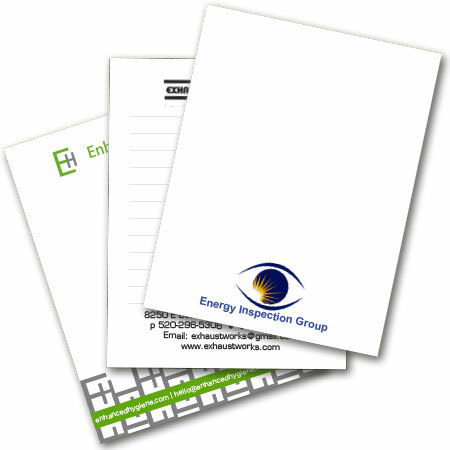 I just wanted to tell you that our notepads looked great!! Thank you so much! 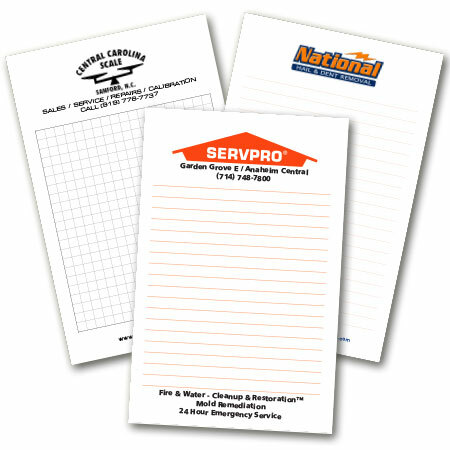 ~ Ann D.
NotepadExpress Customized Notepads and Pocket Pads are an inexpensive marketing tool that positions your logo and business name in front of your customer and provides a powerful branding message. 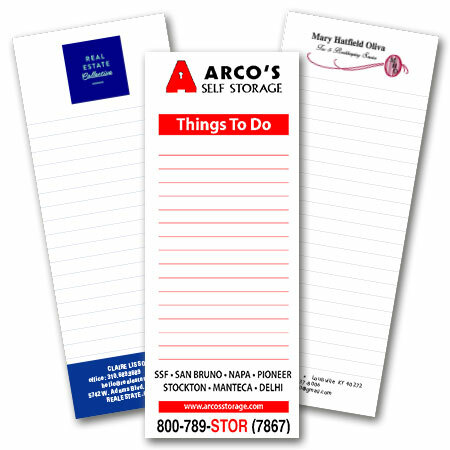 Pocket Pads are perfect for customer giveaways, business notes, and reminder lists, and feature a full color printed cover to promote your business or organization. 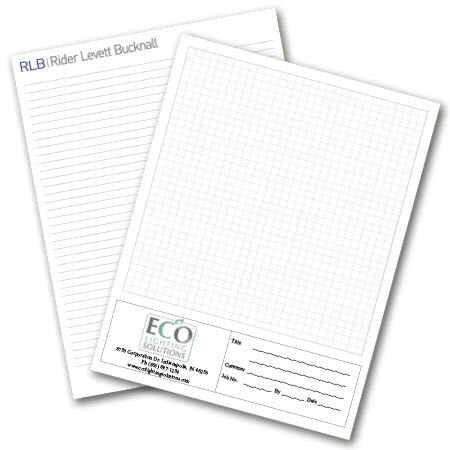 Custom Notepads can fill a variety of needs including simple reminder notes, custom order forms, sketch pads, memo pads, and more! 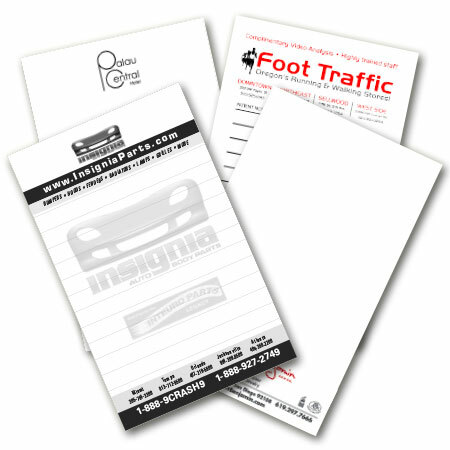 We pride ourselves on providing high quality custom notepads. 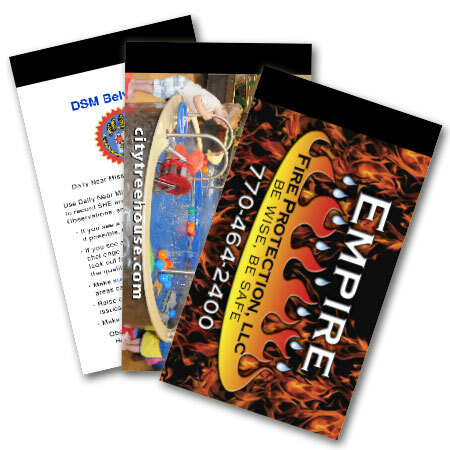 Featuring one or two color printing, 15 to 50 sheets of 20lb paper per pad. Our pads are made from 100% sustainable fibers and are assembled with a glue-top binding and cardboard backing, unless otherwise noted. 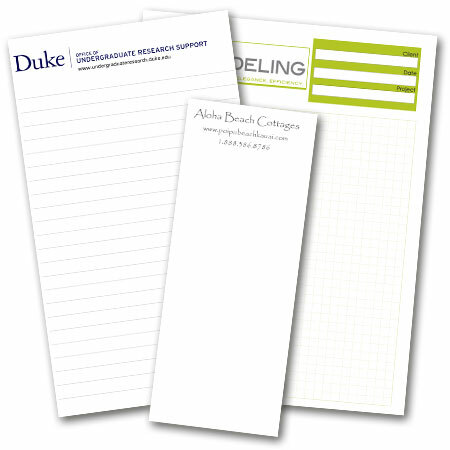 Colored paper and a variety of ink colors are available to further customize your look. Fast Delivery, and we always ship a full count of pads! Please give us a call or send an email to discuss your special requirements. We're here to help!